If you have been thinking about selling your photography work online, then opening an Etsy photography shop may be the right choice for you. Etsy shops are easy to set up and a great way for photographers to sell their prints and gain valuable exposure. If you are ready to start selling your photography prints on Etsy then keep reading! How to start your own Etsy shop to sell photography prints. Upload your product images and set up listings. Determine the preferred shipping process. Promote and market your shop. If you don’t already have an Etsy account, the first thing you need to do is register for one. This is a very easy process requiring your email address. After your account registration is complete, head over to “sell on Etsy.” Follow the shop creation process which includes naming your shop, choosing a category, location, payment options, etc… Once these steps are completed, you are up and running! Keep in mind Etsy charges listing and transaction fees. Currently, they charge $0.20 for each item listed in your shop and 5% of the price listed for an item purchased. This is not necessarily a deal breaker, but worth noting. As far as naming your shop you have many options. You can go with your real name or something more unique. Be sure to choose something that works with your brand and relevant to you. This is a personal choice but choose wisely. Etsy allows you one instant name change, but any further changes are subject to approval. Customizing your shop will help distinguish your brand from other Etsy shops. There are a few ways to customize your shop. Shop icons. These are small square images that display on the homepage at the top left. They are a great place to put your logo. Cover photos. Cover photos display at the top of the shop homepage. These are the largest images on any shop page so be sure to keep it consistent with your branding. Cover photos are optional and can be viewed on desktops, tablets, and mobile devices. Banners. Banners are another optional choice and are similar to cover photos. They are smaller and can not be viewed on mobile devices. With all of these customizations keep in mind you want to attract potential customers. Stay true to your brand! It is important to set customer expectations and shop policies to avoid potential conflict. Be sure to include the following. State whether or not you accept returns and/or exchanges. List your processing and shipping times. Include shipping method and charges. Having these policies available to read through will help your shop appear trustworthy and professional. Now that you have created your shop, customized the images and added your policies, you are ready to list your images to sell! 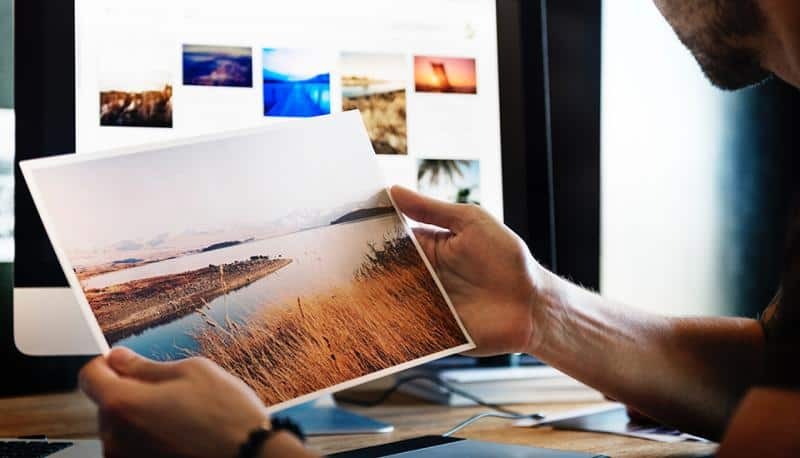 You can sell digital files, canvas prints, posters, etc…When creating a listing be sure to use professional quality images and include thorough descriptions including keywords relevant to your product. When prompted choose the best category or sub-category that suits your product. Be sure to add your desired price and the shipping cost. One Etsy listing will stay active for four months or until sold. If it is not sold within four months you can renew the listing for $0.20. Deciding on a mailing process. Once you sell a product you need to deliver it to the customer. You have a couple options. You can print and ship the products yourself or you can utilize a drop ship method. A dropship service will receive your order and perform the work for you. This is becoming a popular method as it saves artists valuable production time. Research both methods before making your decision. You can change your mind at any time. Be sure to use social media accounts such as Facebook and Instagram to promote your work and your shop. It is your responsibility to market yourself to your desired customer base. Remember adding keywords to your listings will increase your rankings which allows a larger audience to see your work. Be creative and make it fun! Your shop is customized to your liking and your listings look great! Now that your selling, here are a few tips for a successful Etsy shop. Customer service is key. Keep your communication responsive and professional. If any issues arise be sure to resolve them quickly. You are aiming for solid positive reviews every time. Take pride in your product. When handling your prints be sure to avoid smudges, creases and/or scratches. If a customer sees that their product is damaged not only will they ask for a return or exchange, but they will most likely not want to make another purchase at your shop. Be careful with those prints! Package your products for shipping properly. Be sure to wrap them up carefully and if desired use packaging that matches your brand. If a product is damaged during shipping, you do not want it to be because you failed to pack it appropriately. A customer will notice this and lose trust in you as a shop owner. Invest in the correct shipping materials. Be sure to thank your customer for their business! This is a very simple way to have great customer service. Kind gestures like thank you notes make you memorable and may create a repeat customer for your business. Your Etsy shop is live! Now you’re ready to sell. Enjoy your Etsy shop and remember it is a business that requires effort on your part to be successful. You have complete control over your shop and the more you customize, promote your listings and have excellent customer service the better your Etsy shop will be. Don’t feel discouraged if you do not make a sale right away – you will learn as you go. Have fun starting your own Etsy shop, be creative and make it your own. Best of luck and happy selling! Amy-Lynn is a portrait photographer and photo editor residing in Massachusetts. As an editor, her retouching portfolio spans commercial advertisements, album covers, books and magazines. Currently she is building her photography business specializing in newborns, children and families. When she is not busy working, you can find her spending time with her husband and their rescue pup, Maya. Lightroom Presets vs. Photoshop Actions: Which is better? Lens Hood Explained: Everything you Ever Wanted to Know!